Renowned WWII historian and student of J. Keegan, Beevor has written a historical masterpiece. This book covers the entirety of WWII, from Africa to the Russian Far East. Full of primary sources and first-hand accounts, Beevor gives a human perspective of this great and utterly devastating war. Renowned WWII historian and student of John Keegan, Beevor has written a historical masterpiece. 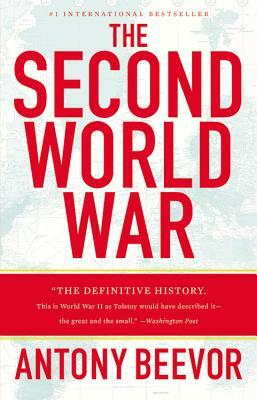 This book covers the entirety of WWII, from Africa to the Russian Far East. Full of primary sources and first-hand accounts, Beevor gives a human perspective of this great and utterly devastating war.